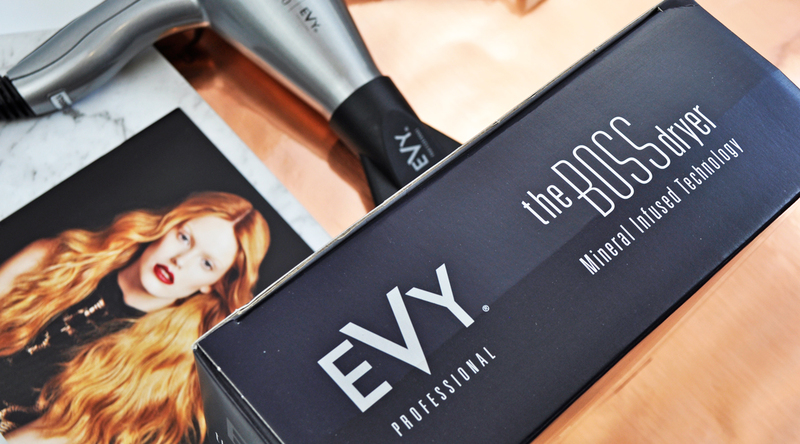 In case you haven’t heard, Evy Professional recently launched ‘the BOSS’. This super-powerful hairdryer is a game changer! It has taken the hairdressing industry by storm and has literally blown me away. It is a lightweight, easy to use thermal hair styling tool boasting 2400 watts of power. The patented EVY Mineral technology will lock in hydration for swift drying and stunning styling. What used to take me 30 minutes can now be done in 10. It feels like salon fresh quality hair at home each time as it leaves my hair soft, smooth and more hydrated. theBOSS puts you in charge of your blow dry, every time, ensuring easy, effortless styling with it’s super-powerful and super-hydrating technology. I start by towel drying my hair then applying a thermal protection product. Next, I use my Evy Professional SCHIMA Mixed Bristle Brush for a smooth frizz free blowdry. I section my hair then start from root to tip applying even tension on the hair, keeping it a safe distance from my head. I use the cool shot button to finish & set the hairstyle. Mineral infused bristles to emit ionic energy for smoother, shinier hair whilst eliminating static and y-aways. EVY PROFESSIONAL is the ONLY brand with 32+ minerals in thermal styling tools. 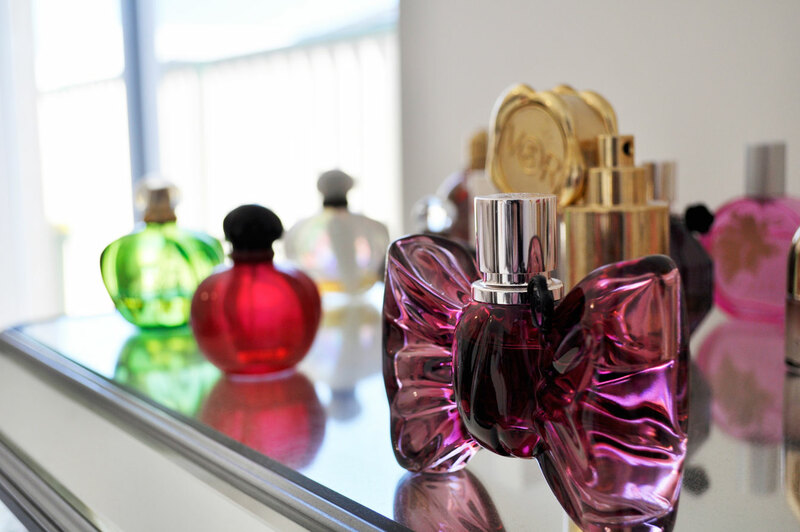 Their products deliver a kiss of hydration for the love of fabulously healthy hair. The range is all about giving stylists and consumers the very best and most technologically advanced hair tools that work to hydrate and promote hair health while styling. A kiss of hydration for the love of healthy hair, AquaBaci delivers the highest quality in styling tools and hair care products to ensure the ultimate hair health. What hair dryer do you use? Let me know via the comments below! This hair dryer looks like it would the trick on my boofy hair!!! I think it’s suitable for all hair types, you should definitely look into it! This hair dryer looks like it works so well! I also love that it comes with the hair brush. Those hairbrushes are great for drying, but I never seem to have one. I wish the brush came with the dryer, unfortunately it’s sold separately. The Schima Round Brushes are the best for volume and curls. This sounds so good! You don’t realise how good it is to have a new and improved hair dyer till you actually use it! I know right, out with the old and in with the new. Love that it is so efficient and has cut my hair drying time by a third! Love the feeling of a fresh blow dry. This hair dryer sounds amazing! I will definitely keep this brand in mind when I next buy a hairdryer! You’re very welcome, thank you for reading. People don’t usually realise how important hair dryer is! Great review tho and this sounds like it will make wonders! I love the brand, they make the best haircare products. I know right?! It’s fantastic! After reading the reviews on the Evy Professional The Boss when my old dryer blew up, I had my hair blowed dried and ironed at Price Attack with The Boss and the IQ pro glide and loved the result. I purchased The Boss and used the dryer at home and with the Evy Schima brush to pull my curly hair straight and still love it! It also took less time to dry my hair than with my old dryer. Would recommend if you are in the market for a new dryer around the $250 price range.